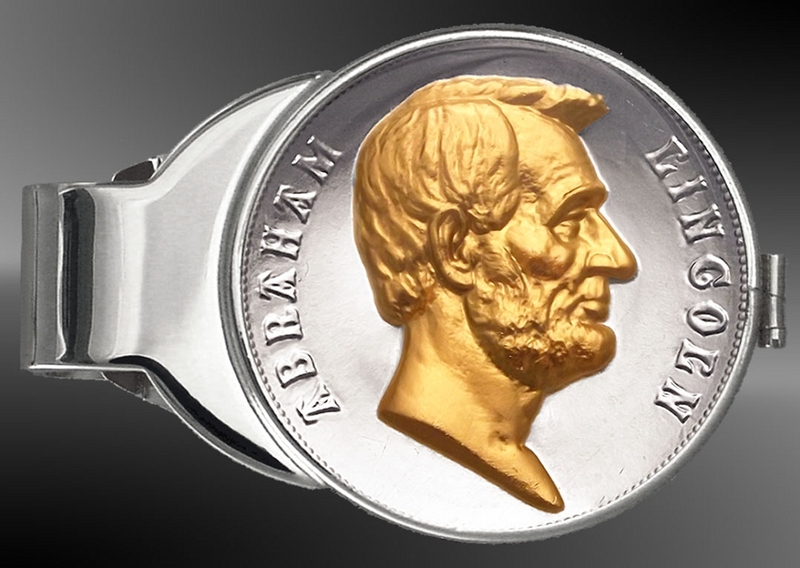 This 33mm US Mint medal commemorates Abraham Lincoln, 16th President of the United States, in a stunning 24K precision gold and pure silver accenting. 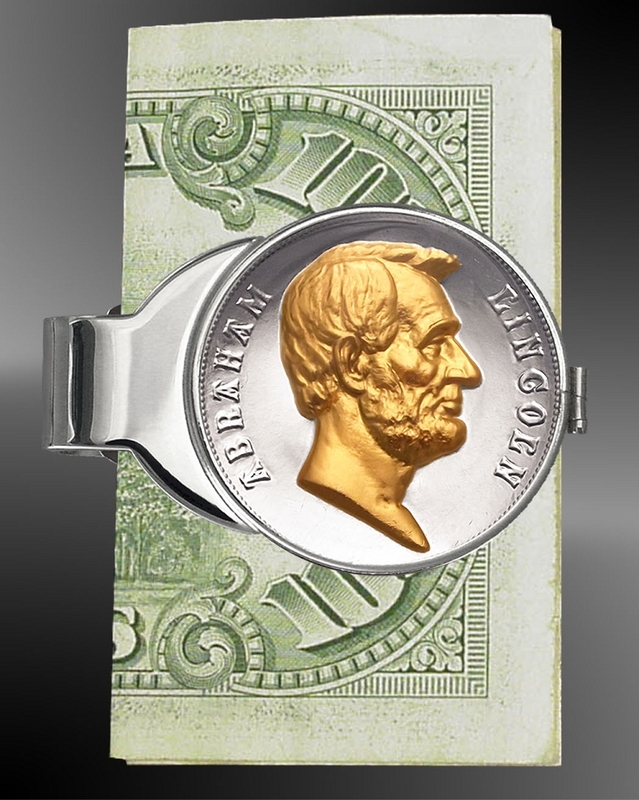 The hand polished nickel plated money clip features a patented spring action that holds even a single bill snugly. LensCote protection preserves the mint proof finish for generations to come. 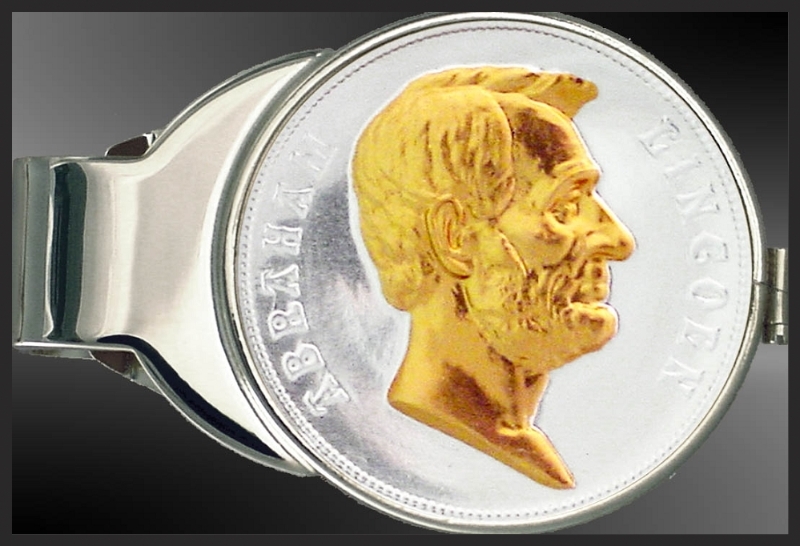 This 33mm US Mint medal commemorates Abraham Lincoln, 16th President of the United States, in a stunning 24K precision gold and pure silver accenting. The reverse features a wreath inscribed, "INAUGURATED PRESIDENT OF THE UNITED STATES MARCH 4, 1861. SECOND TERM MARCH 4, 1865. ASSASSINATED APRIL 14, 1865." The hand polished nickel plated money clip features a patented spring action that holds even a single bill snugly. LensCote protection preserves the mint proof finish for generations to come.